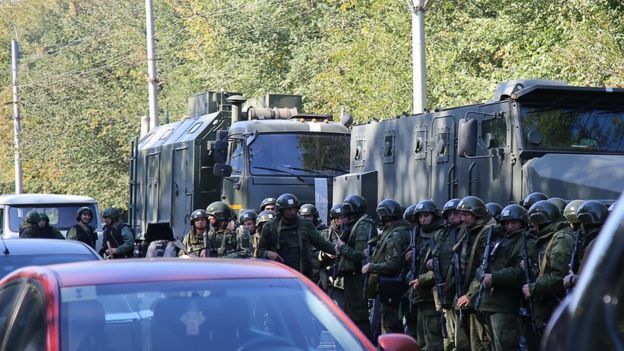 At least 19 people killed and dozens wounded at a college in Russian-annexed Crimea! 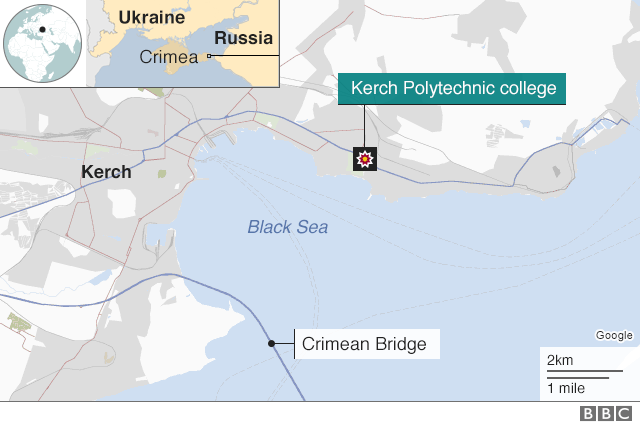 An 18-year-old student ran through the technical college in Kerch, firing at fellow pupils before killing himself, Russian investigators say. Officials and witnesses have also spoken of at least one blast caused by an unidentified explosive device; possibly an improvised explosive device. The annexation marked the start of a simmering conflict involving Russian-backed rebels in eastern Ukraine still goes on and continues to this day. What actually happened at the college? The alleged perpetrator, named Vladislav Roslyakov, is reported to have run from room to room as he shot his gun, starting in the college canteen. He then shot himself dead, Russia's investigative committee said. Officials said initial examinations suggested all the victims died of gunshot wounds, but some reports speak of shocking shrapnel injuries. Soon after reports of a blast, investigators released a statement saying an explosive device filled with "metal objects" had detonated and set off in the dining area, several witnesses said that they heard one or more explosions. "I was at the epicenter of the first explosion, at the entrance, near the buffet," he said. "I was in complete shock and one of my classmates started pulling me away. Then I heard several shots at intervals of two or three seconds. After a while, there was another explosion that had detonated." A local official said most of the victims were students of the college, which is a vocational school for roughly 850 teenagers. A major emergency response operation was launched as the victims were taken to hospitals. At least 40 people were injured. Four military planes were ready to evacuate the wounded and military hospital facilities were ready to accept victims if necessary, Russian Defense Minister Sergei Shoigu said to the BBC.